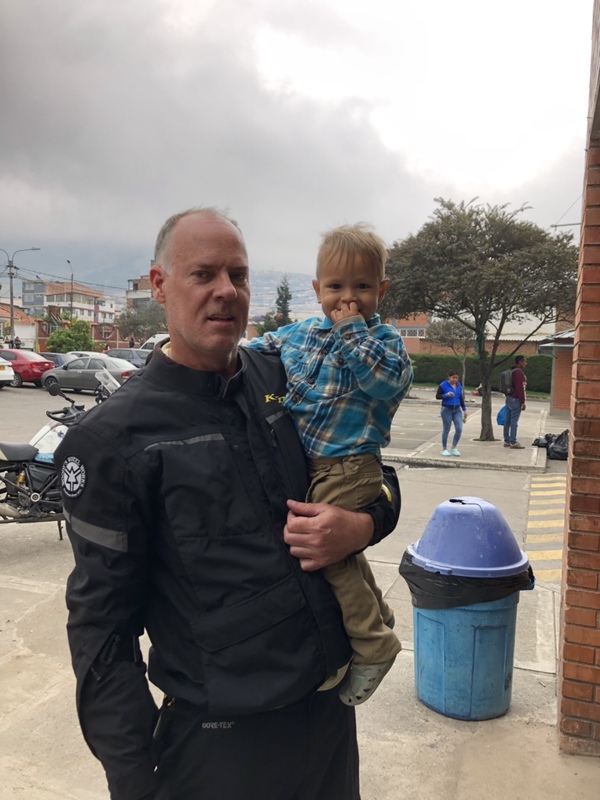 An update from Colombia. 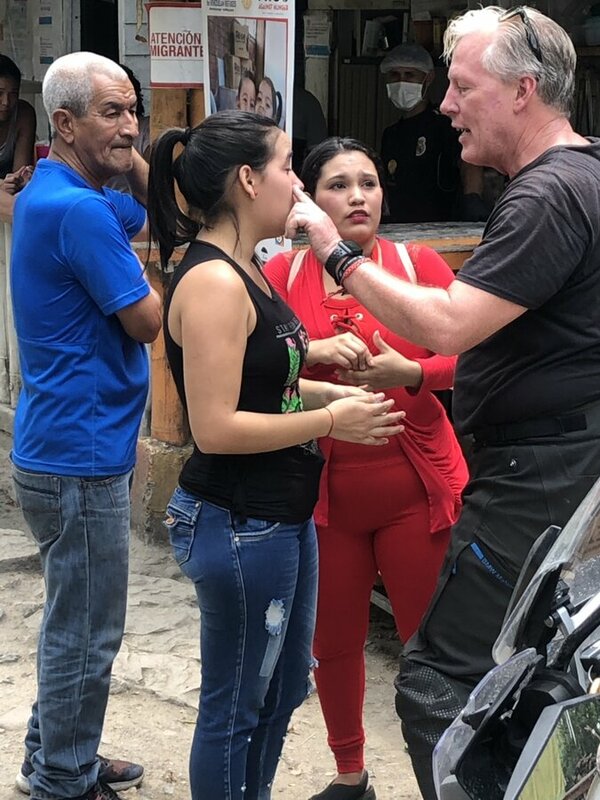 We helped quite a few Venezuelans with a bus ride over the mountains yesterday. They were going to walk it! Many would have no doubt died as many have already. We went back this morning and got two more bus loads. Down the road we saw more camps and stopped to spec out what was needed. Dennis made a list of supplies and we are going to build a shower. Really sad seeing people with worn shoes and no cold weather clothes. They just walk and walk and walk. We paid bus fare for a few women with children. This one place was making them chicken soup. We ended up helping 22 people by getting them a hotel, food, clothing and bus rides to distant cities saving them the life threatening walk over tall mountains. Yesterday we arrived at Cúcuta and spent time sorting and pairing about 1,000 pairs of shoes to distribute. 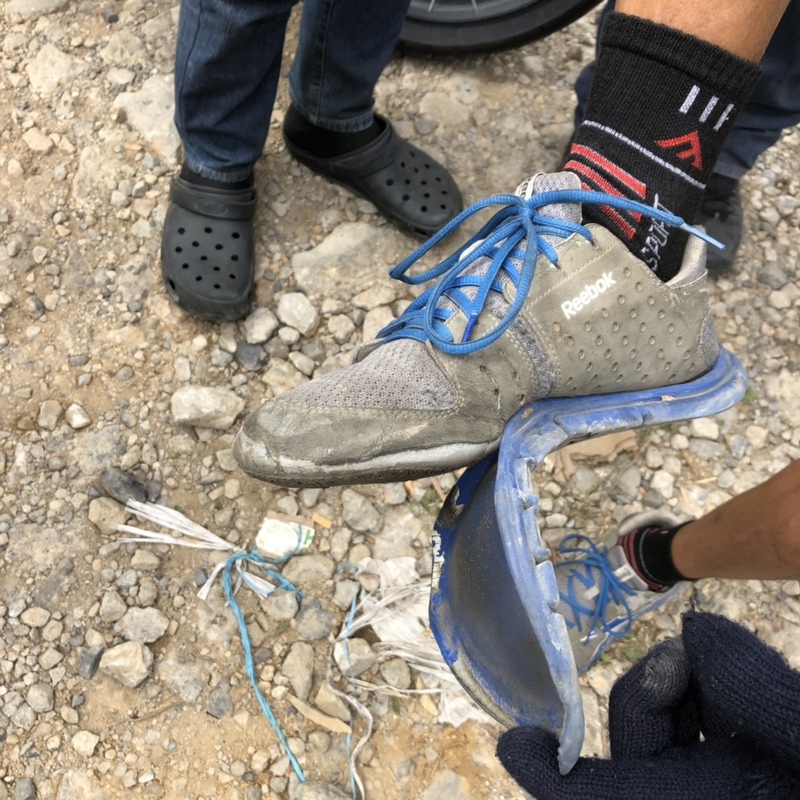 I wish we had those the previous few days as just about everyone’s shoes were worn out. Huge day yesterday. We got 200 people out of the cold and rain off the street and in busses to go over the mountains. We even gave two moms and three kids rides on our GS’s to the next refuge station. Here’s those two women and three kids we gave rides to on the bikes saving them about 20 miles of walking in the heat. We later got them on a bus for the next town. Wow wow wow wow! 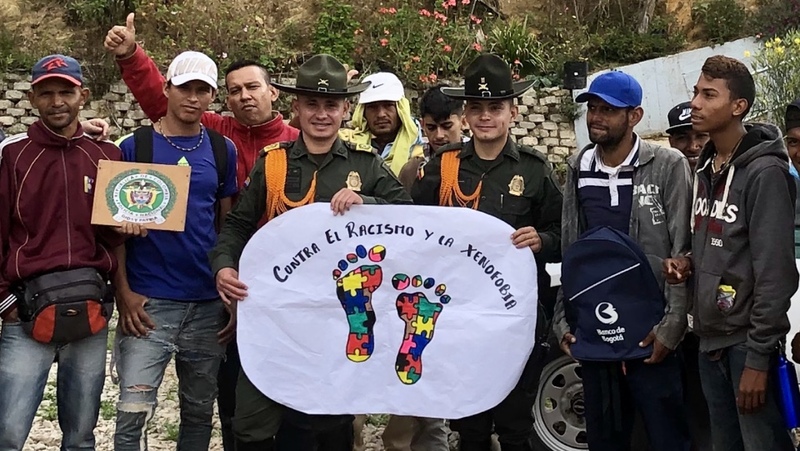 There are so many more words to describe our past project assisting the Venezuelan refugees/Colombians with medical & dental care in Cúcuta, Colombia. To start off, from March 23rd to 30th we were able to assist 3,657 people! Among many more of those who are continuing to walk from Cúcuta to the many other cities around Colombia. Our riders found that many people start walking from Cúcuta making their way towards Pamplona which drastically increases in elevation getting colder and colder. Many refugees only have the clothes on their back along with one backpack and are not well equipped to traverse where they are going. We were able to provide many with new shoes, solar lights, and transportation! While our riders were in Pamplona and other various locations helping those who were mobile, our health mission was in full swing from 8am to 6pm. The first day was quite the shock for some of us as individuals were lined up down the street already waiting to receive proper care and more followed each day thereafter. It was a very cool experience for some of us who do not speak fluent Spanish as were able to play various games with the children there adding some mental health uplift to their day! Everyone who was apart of this project was amazing and to those who couldn't make it but have supported us, thank you! Please keep donating and helping our cause. 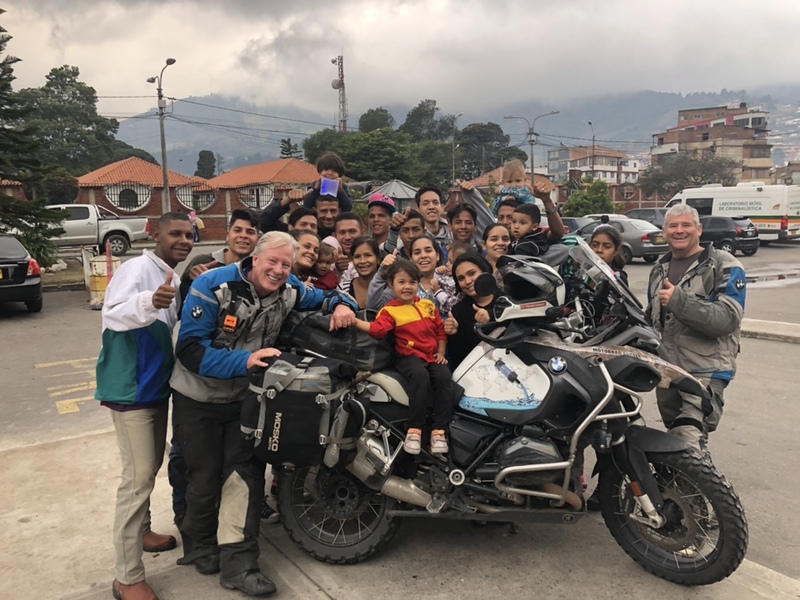 For lots of pictures from our photographer Josh Skolnik please visit https://www.motorradangels.org/venezuelan-relief-photos/ Safe riding everyone! Training the trainer with some farmers who welcomed our filters for their new fresh water supply! These kids are just so darned cute! Thanks for sharing the great work you all are doing. It is very nice to see humans helping humans. Water is so taken for granted. Very Exciting News! We recently got together with MPOWERD who is a company that makes solar inflatable lights, yet they are have a program where you can purchase a light to be given to NGOs, we just became a part of that program! So for Earth Day we are being highlighted as a program partner so that any light you purchase through their Luci GIVE program, they will send us the light to be distributed where it is needed most. Some of you know that recently on our project in Cúcuta we were able to give out 500 solar lights to the refugees walking. Programs like these and having the relationship with companies like MPOWERD are so crucial to helping those in need! Please share with your friends! As always safe riding! Buy a light through our GIVE Luci program. Your GIVE light goes directly to Motorrad Angels. Motorrad Angels will deliver them to where they are needed most.